Cà Phê Hanoi is a Vietnamese fusion restaurant that stimulates the senses. 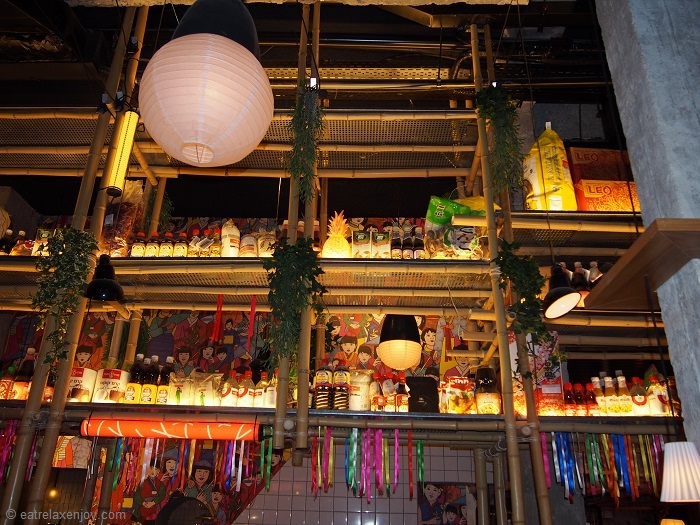 Its décor is of a Vietnamese market with colorful ambience. 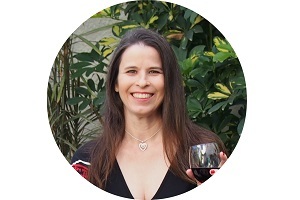 The food is an art creation in a fusion of Vietnamese, French and Israeli cuisines. 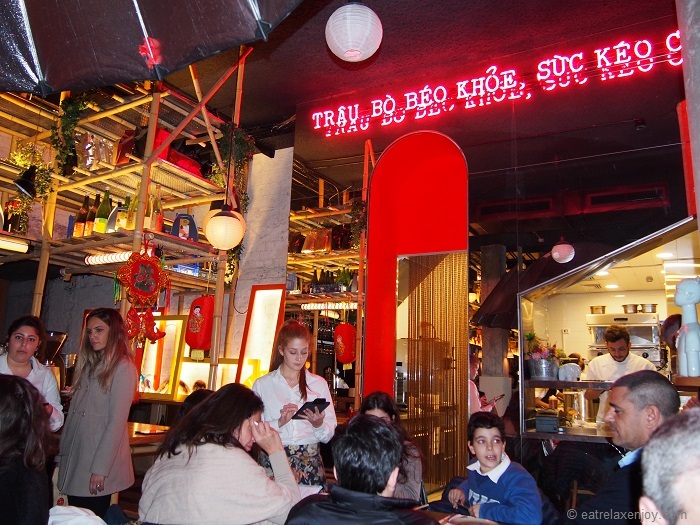 Eating at Cà Phê Hanoi is a sensual experience it is a real night out! Cà Phê Hanoi, located on the corner of Malchei Israel blvd and Frishman Street is easily identified by the shiny huge signboard and huge red door. As we walked in, we found ourselves in a busy Far East street market. 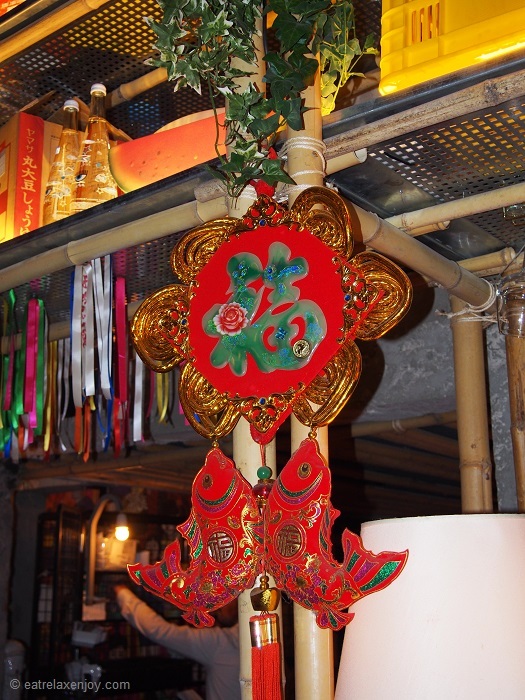 The décor is quite lively with a lot of red color, artifacts from the Far East, bamboo shelves packed with rows of Asian produces like soy sauce, rice vinegar bottles, bags of tempura powder bags with Thai labels, etc. 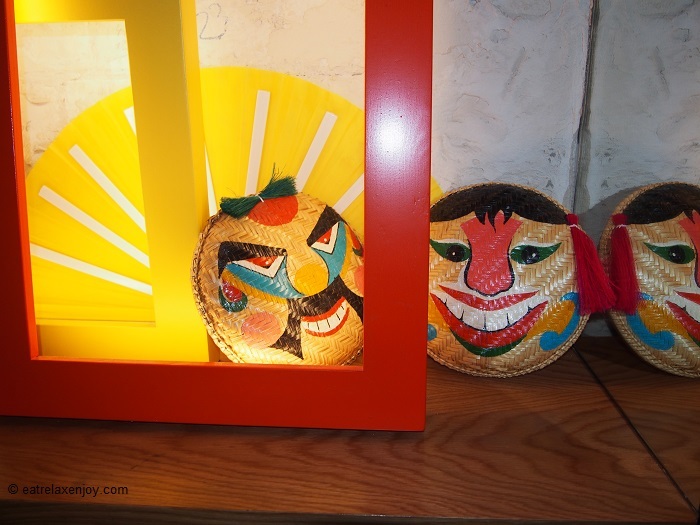 In between – paper lamp houses and decorations which made the restaurant very vibrant. The kitchen is open, but it wasn’t felt at all, even though we were close to it. With the rather loud music, this felt like a little of a carnival, fun place to hang out at and have a cocktail. 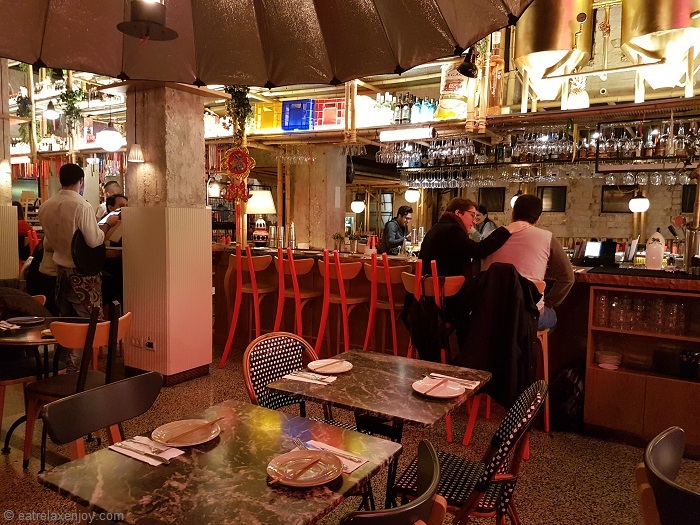 Nofar Zoher is the restaurant’s chef and while the menu is rather small, it is quite innovative and brings together exotic flavors and combinations. 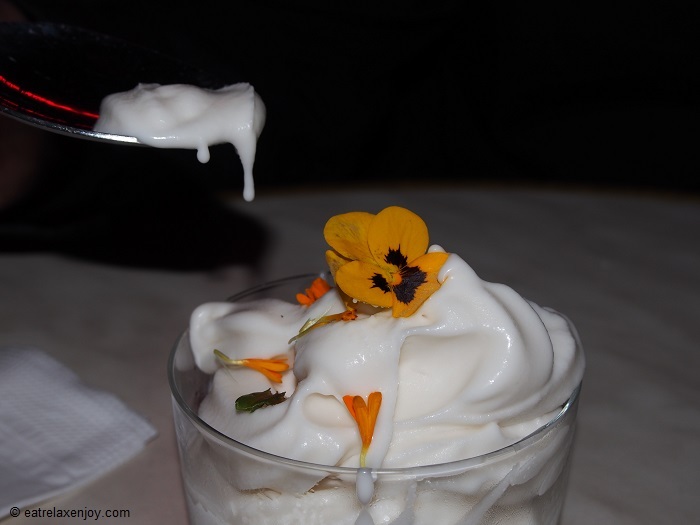 Each of the dishes is designed like a piece of art and is decorated with herbs and edible flowers (like nasturtium). 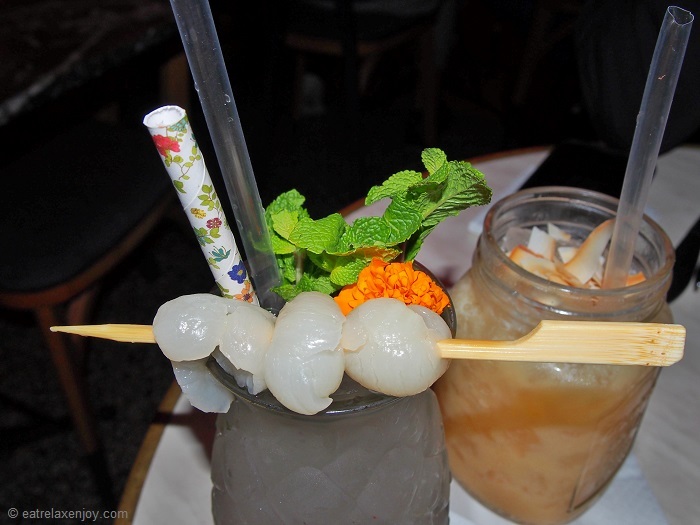 Lychee Mojito - White Rum, Lychee, Fresh Lime, Mint - beautifully served in a pineapple-shaped glass with garnish and a skewer of lychees and so good! Not sour at all and very balanced with the alcohol! 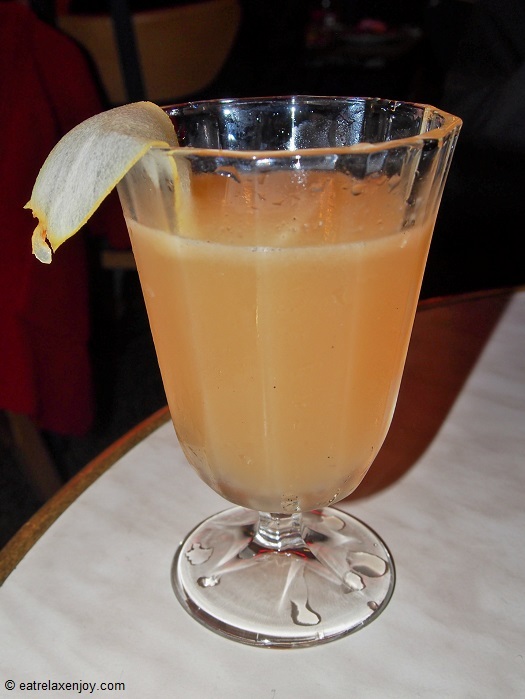 A Perfect Pear - Vodka, Elderflower Liqueur, Pear, Vanilla. Served with an extremely thin slice of pear. My partner enjoyed it very much. 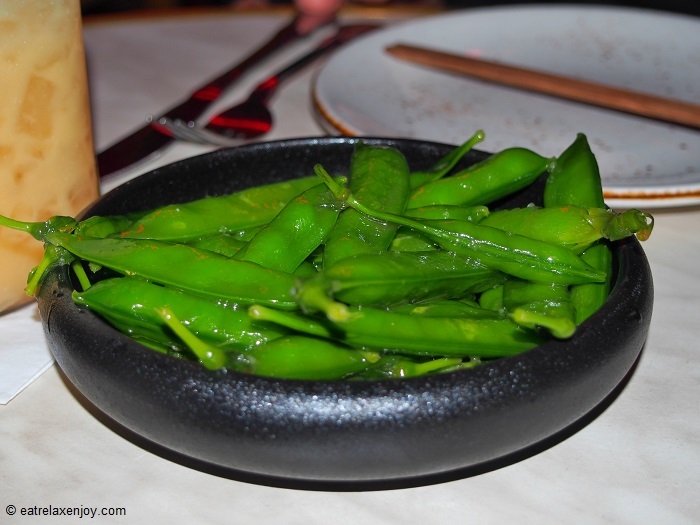 English Peas – boiled, served whole with soy sauce. Crunchy and tasty snack that we started with while having our pre-dinner cocktails. 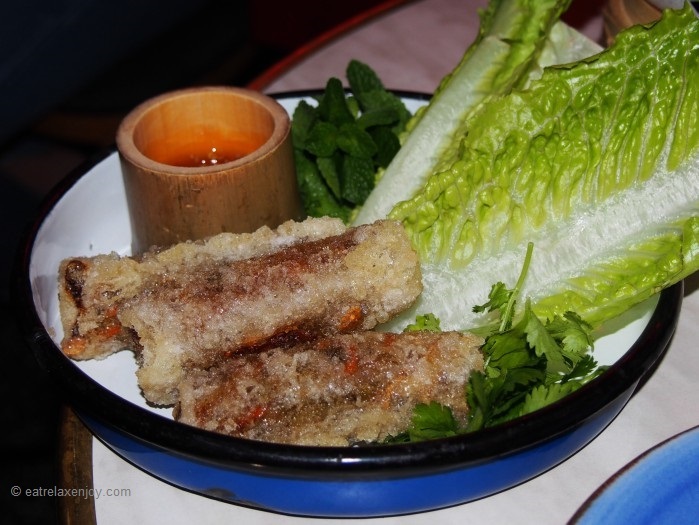 Crispy Spring Rolls - Rice Paper Filled with Steamed Cabbage, Noodles, Carrot, Red onion & Tofu. 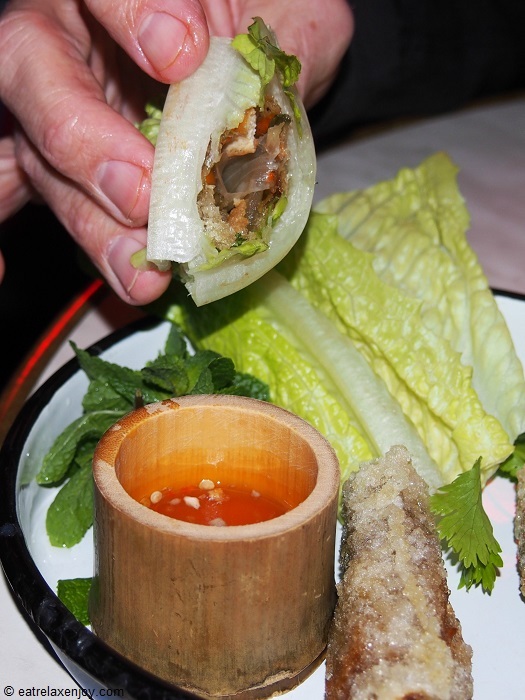 Served with Fresh Crisp Lettuce, Mint, Cilantro and a Chili Lime Sauce. The waiter explained us that the right way of eating it is to wrap the roll in lettuce and dip in the sauce. The rolls were a surprise - crunchy and tasty with very good stuffing. 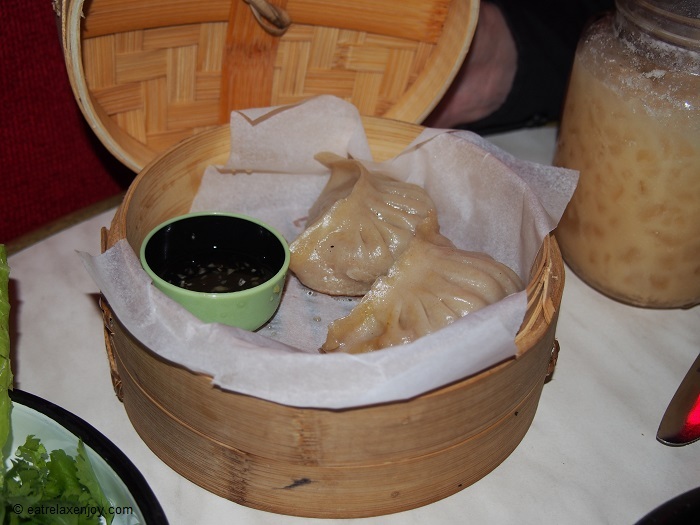 Gyoza – hand made gyoza stuffed with pumpkin (and other ingredients that I missed), served with soy sauce. The gyoza is ordered by pieces. We order two, which was a mistake, because I couldn’t stop eating them. For a moment, I thought I could have a whole meal just of those heavenly gyozas. 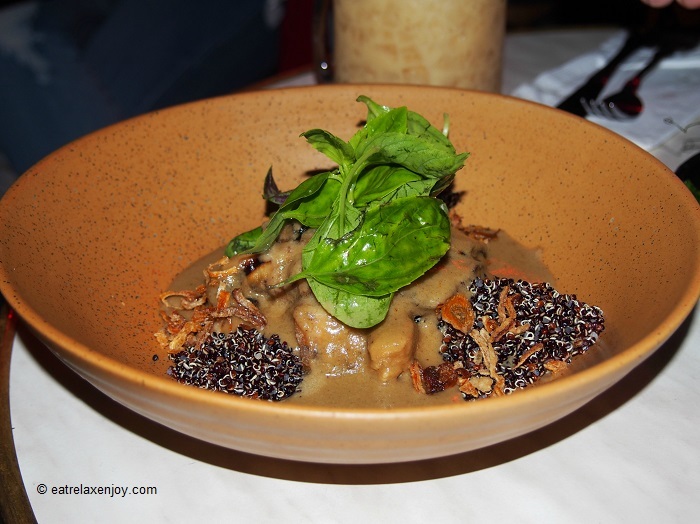 Golden Curry – fish, eggplant and black quinoa. A really good dish, packed with flavors! Seared fish squares and rounds of fried eggplant covered with the white curry, which almost melted in my mouth because it was so tender and the contrast of the quinoa created a really nice game of textures. 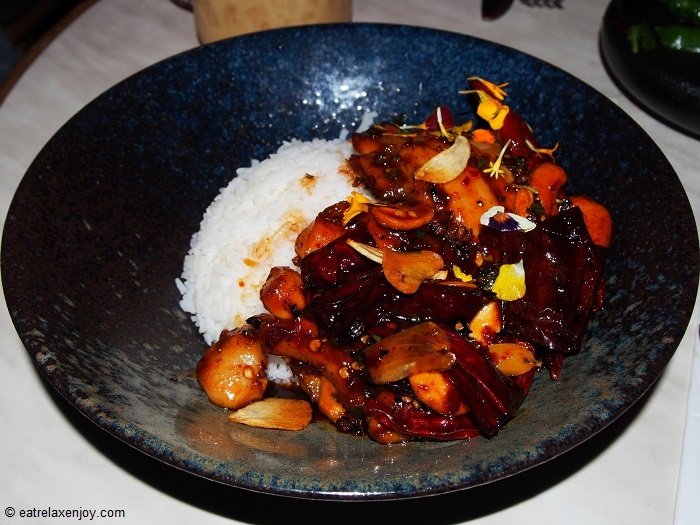 Chicken Pepper – grilled boneless chicken thigh with smoked chili, Vietnamese cashew, Cambodian capsicum, and Sichuan caramel, served with Jasmine rice. My partner had this dish, which I only tasted. It was delicious! Desserts here are parve since the restaurant is kosher. While we tend to order mostly fruit based desserts in this case, we ended up trying many more desserts because we got a treat from the host - two extra desserts. 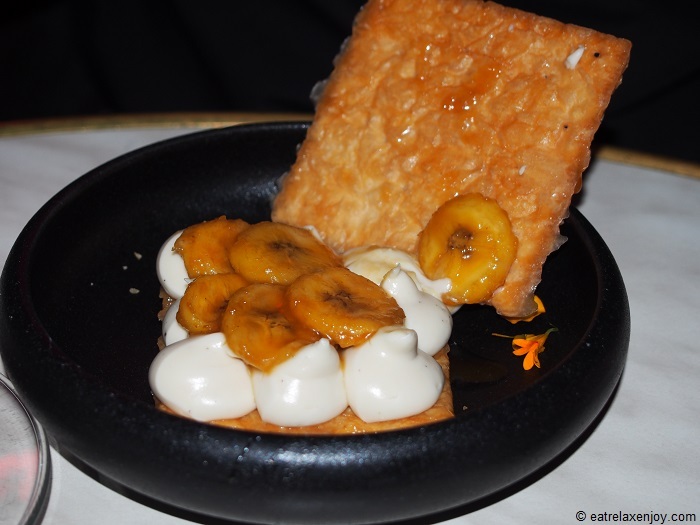 Parisian Banana Loti – crisp puff dough, almond milk cream, coconut caramel and run-caramelized bananas. This was by far my favorite desserts. I wouldn’t have guessed it was parve! 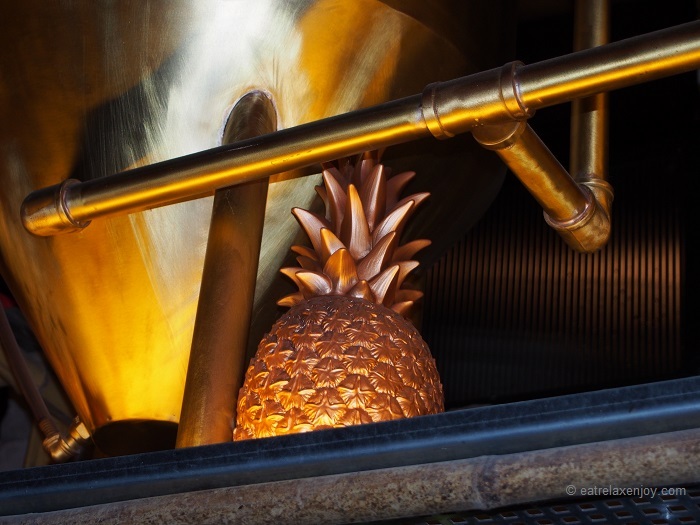 Balanced sweetness and flavorsome! 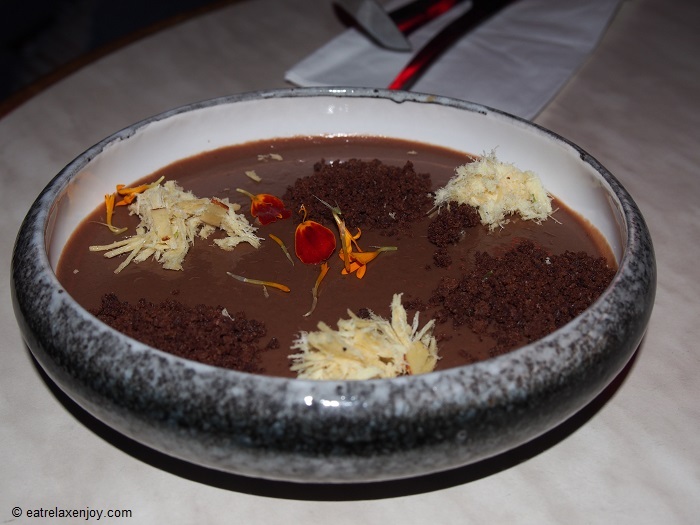 Chocolate Cremo – chocolate and praline brulé, sweet-salty chocolate crumble, and Indian seasoned Halva. That’s the second dessert we ordered. A rich chocolate cream with gentle saltiness. I could feel the coconut milk in it (not my cup of tea) but my partner loved it! 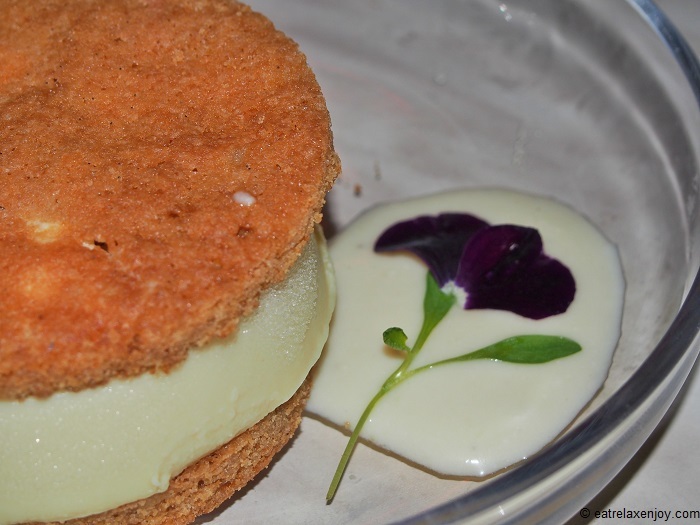 Cookie-lida (a special) – white salty-vanilla cookies with mango-passion fruit semifreddo. 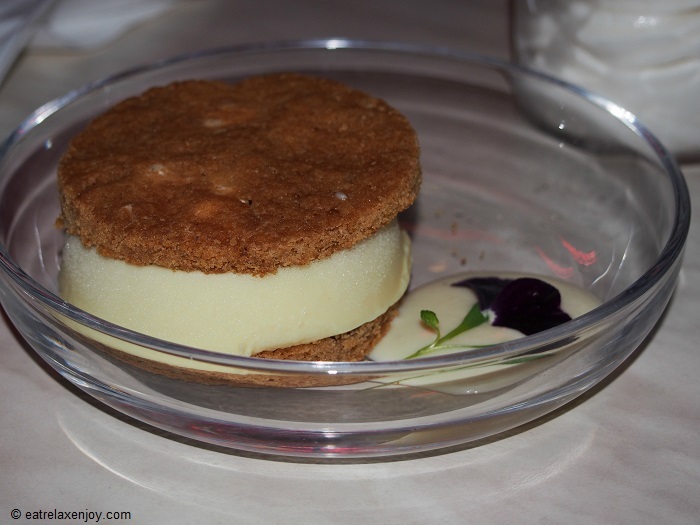 This was a somewhat different version of the cookie ice-cream sandwich that they usually serve here. 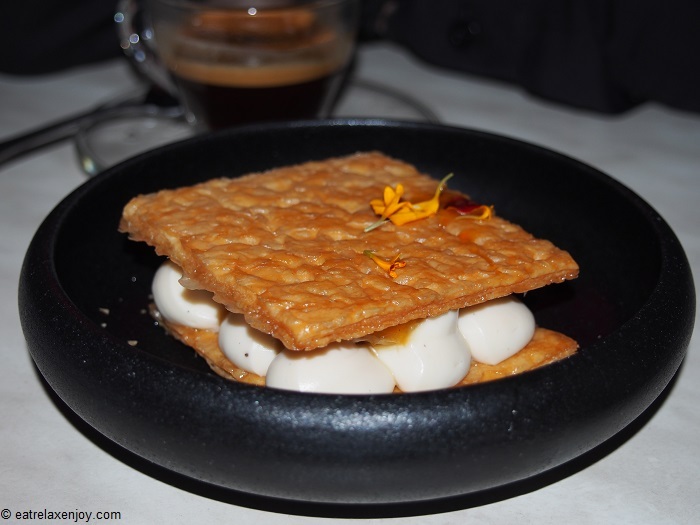 The cookies were rather salty which strengthen their vanilla flavor and they suited quite interestingly with the fruity semifreddo. I found it to be a very stimulating to the senses. 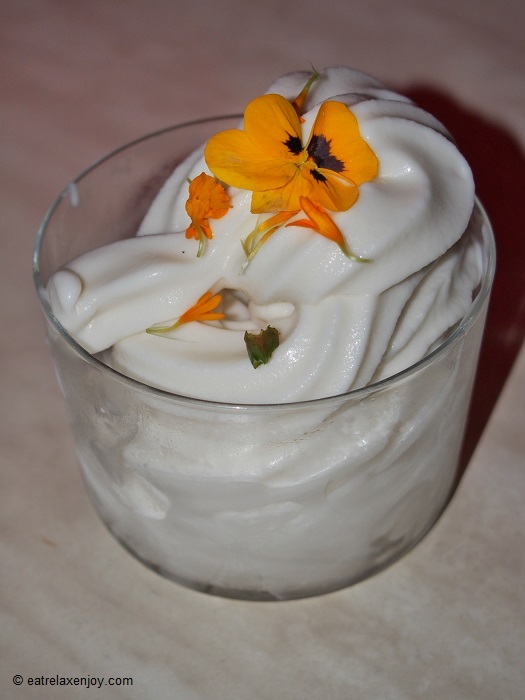 Coconut Yoghurt Ice cream – a vegan dessert. If you like frozen yoghurt, you’ll love it! It has a moderate sourness and sweetness and it is very refreshing! We also had an espresso; they serve here all the standard hot drinks. 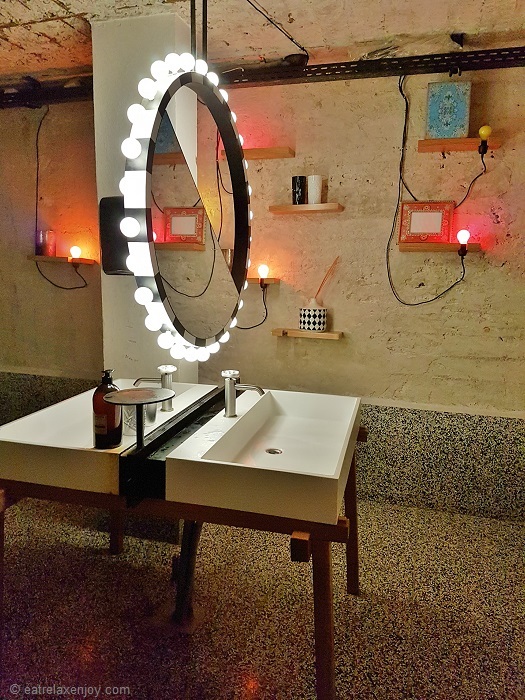 Before going home, I recommend going to the restrooms, even if you don’t have to. 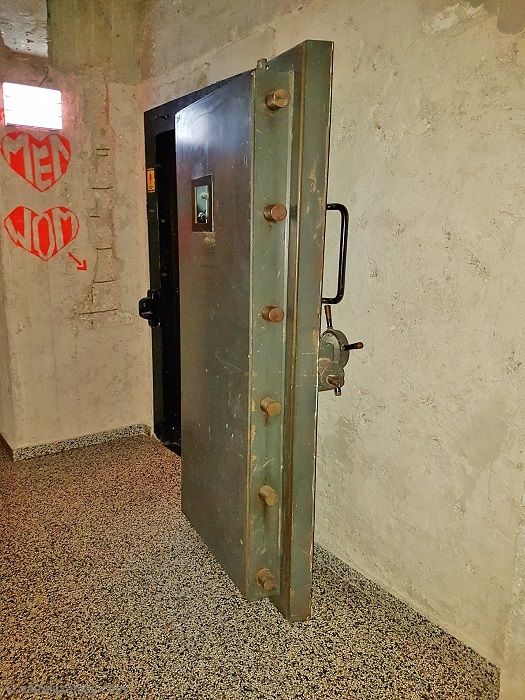 The restaurant was established on the remains of a bank, and the designer of the restaurant, Ségolène Getti, who previously worked with Phillip Stark, kept much of the safe area of the bank the same. 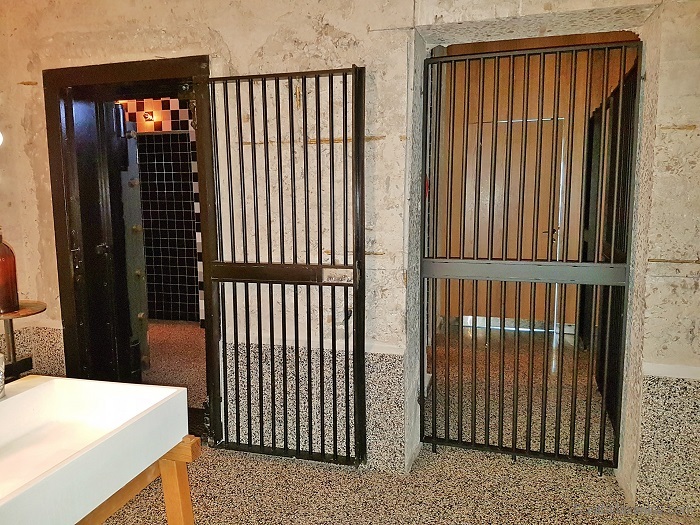 The toilets are located in the basement and the heavy steel doors, metal bars, and safe door are intact, which makes it like going to a living museum. 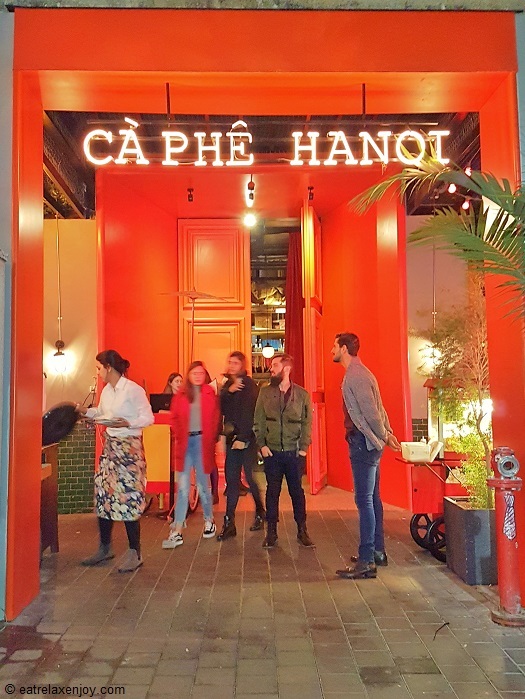 Cà Phê Hanoi is one of forty worldwide restaurants of Claude Louzon and Emmanuel Dayan, which explains the international standards and ambience here. 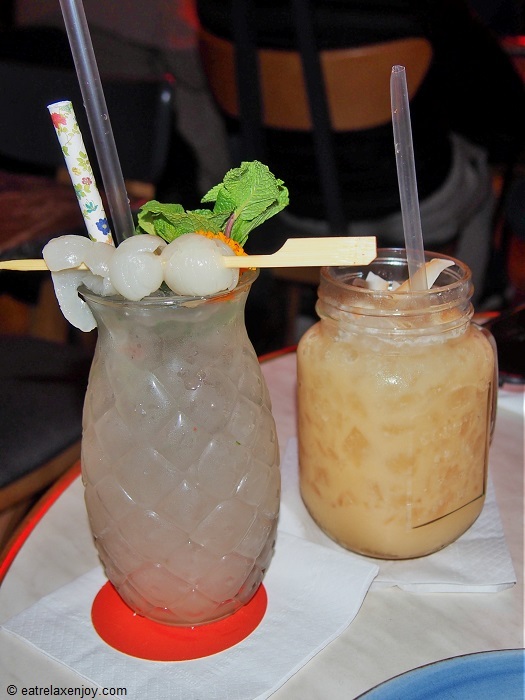 In summary, Cà Phê Hanoi is more than a restaurant with good food, it is a place to have fun and enjoy an entertaining night out.